From the initial engagement with you, McGregor Media will begin with a full website analysis and a thorough understanding of your business. They understand the importance of having your website set up correctly which in turn helps you to maximise your position and maximise the amount of clicks you get. McGregor Media believe in seeing their clients face to face and as often as they like. Your dedicated account manager has a maximum number of clients within their portfolio so that the personal service remains McGregor Media's most notable feature. If you are looking to come up in the top listings of Google then SEM (Search Engine Marketing Adelaide) is what you need. Paid listings and other search engine related services is a skill that has earned McGregor Media the title as 'Online SEM Specialists'. Most organisations start with a great looking and fully functional website but don’t often follow through with another very important component, and that is Search Engine Marketing. 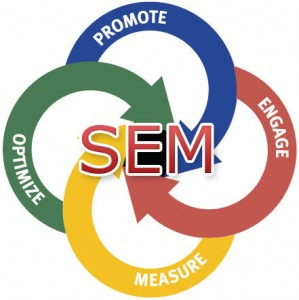 If your looking for instant leads to your business then SEM (Search Engine Marketing) is a must. Within 24 hours McGregor Media can have you coming up in the paid listings of Google. SEM includes the ability to pay based on clicks, whereby you pay only for each click through from the advertisement to your website. These types of Ads in a successful SEM campaign will be shown to those consumers specifically looking for your products or services at the top of search results resulting in a much higher conversion rate. SEM & SEO go hand in hand .People seach in different ways, some go for the ads up the top and some scroll down the page to the organic listings.If you are coming up twice on the page you double your chances of being clicked on and getting that important lead to your business.